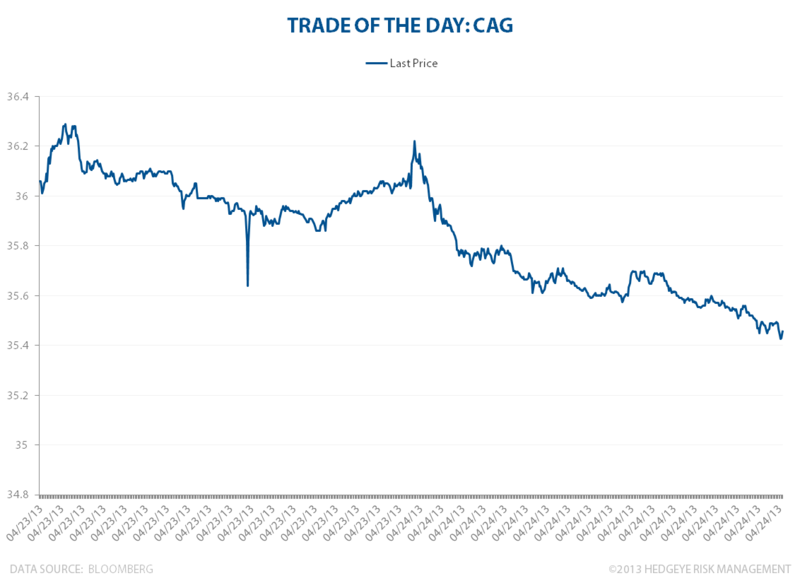 Today we bought ConAgra Foods (CAG) at $35.67 a share at 1:37 PM EDT in our Real-Time Alerts. Buying back one of Hedgeye Consumer Staples Sector Head Rob Campagnino's Top 3 Ideas, primarily because it's on sale. Rob's thesis hasn't changed (see our weekly Investing Ideas notes) and TRADE and TREND lines of support remain intact.